Congratulations! You’ve worked hard for your beautiful smile; here’s how to keep it that way! Finally, your braces have been removed and your smile is beautiful, straight, and best of all, metal-free! However, your orthodontic journey isn’t quite completed. 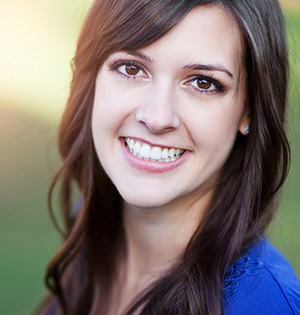 To keep your smile looking its best, you’ll have to wear a retainer to preserve and stabilize your results. 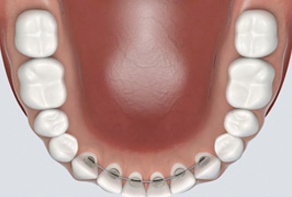 Retainers are needed to control or limit potential changes in tooth position. They are used after braces treatment to hold teeth in their correct alignment while the surrounding gums, bone, and muscle adjust to the new positioning of your teeth. How Long are Retainers Worn? We recommend that retainers be worn day and night after active treatment is complete to prevent the teeth from shifting and maintain your great smile. After about a year they can be worn during the night time only. We’ll keep seeing you for “retainer check” appointments for about 18 months, but we strongly recommend that after that time, you continue to wear retainers at night to keep your teeth in place. Teeth may move as we age, and wearing your retainers as you get older will help keep them in their new position. Aligner-style retainers, or Essix retainers, look similar to clear aligners and offer a more aesthetic alternative to wire retainers. They are produced from a mold of your newly aligned teeth. 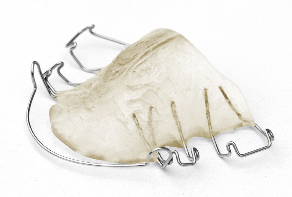 Fixed retainers consist of wires bonded behind the bottom and/or top teeth. They are often kept in for several years. Occasionally they break or become detached from the teeth. If this happens, please get yours repaired or replaced. A fixed retainer is great if you don’t want to keep track of it, or you don’t want to worry about how many hours per day it must be worn. Keeping the retainer in your mouth or in the case will avoid loss and breakage that would mean extra expense. If your retainer is lost, broken, or does not fit, please schedule an appointment as soon as possible. Brushing the retainer with cool water and toothpaste will help keep it fresh. Never put it in hot water because this will distort it; and keep it away from your household pets. You can also soak it in denture cleaner about once a week. Always remove the retainer when brushing your teeth.